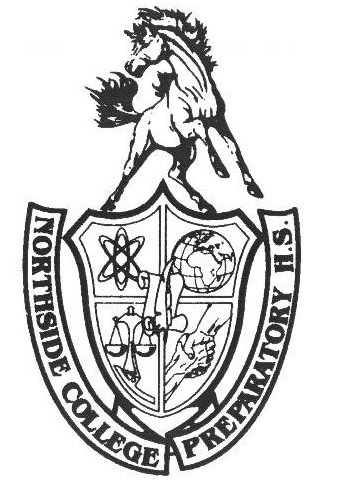 Northside’s bowling team started the season off strong, convincingly winning against three other schools in its first meet at Waveland Bowl on Nov. 13, 2017. The entire program consists of over 15 members, but the competitive team is made up of only of five bowlers. Those five bowlers are chosen every week according to how well they perform in practice - those who bowled the top five scores that week are chosen by Coach Montejo to get the chance to play against other schools. Rather than individuals winning in competitive matches, all the scores of the team’s members are added up at the end of the game and the team that puts up the highest overall score is awarded the victory. Northside’s first match was against Mather High School’s bowling team. Both teams were uneasy about their first game. Fernando Velazquez, Adv. 800, said, “there’s really no way of sizing the other team up. You could look like the strongest person in the world but if you don’t have control of the ball then your team’s done for.” Up to bowl first, Velazquez got a strike and celebrated it with a victory dance. Miguel Rascon, Adv. 808, said, “I’m excited to play against other players today. We’ve been putting in work at practice and we’ve been bowling on the weekends, too.” Mather’s player bowled next and only managed to knock six pins down. With the team in high spirits, they were able to transfer that momentum to their bowling balls and close out the remaining 9 frames with a team score of 602 to Mather’s 577. The second match against Lake View High School ended up being Northside’s lowest scoring win. Rascon gutter balled twice in a row in the second frame. Coach Montejo brought the team’s morale right back up, delivering a speech that said, “Better that you gutterball right now at the start of the season rather than in an important match. You’re lucky to have such good teammates, as well, and that winning this game will still be easy whether you think you’ve messed up or not.” The game continued with Hugh Garner, Adv. 805, maintaining the largest lead over the other team. He finished with a score of 142, almost triple the other team’s lowest score of 56. The combined team score totaled 593 compared to Lake View’s low score of 416. The final match against Lane Tech College Prep ended up being Northside’s greatest triumph. All of Northside’s starting five bowled a strike during the first frame, leading to a huge inflation of their scores over Lane’s. Blake Lehman, Adv. 804, regarded by other team members as the most consistent bowler said, “It was like watching a scene out of a bowling movie.” Although the first frame was a strong start to their final match, it was Joey Reynolds, Adv. 809, who really kicked it up a notch. He bowled a strike in the second frame, and in the third, and knocked down nine pins down in the fourth. He bowled two more strikes in a row in the fifth and sixth frames, another one in the eighth frame, and finished by bowling a strike in the tenth frame, which he followed up by knocking down another nine pins right after it. His final score at the end was a whopping 200, placing him even higher than what any of the Taft bowlers, who are known for being one of the best bowling teams in Chicago, scored that day. The match ended with Northside bowling a 702 vs Lane’s 444. Blake Lehman, Adv. 804, clutches the ball. Jawad Moshin, Adv 808, who was the “sixth man” ready to fill in for a member in case they got injured, said, “I think the best part about today was watching Joey bowl a 200.” When asked about his impressive score, Reynolds said, “I’m very proud of it considering it’s the highest I’ve ever bowled, but the best moment was hands down when the entire lineup got a strike in the first frame.” Although Northside may not be known for its bowling team, the new, dedicated varsity members are doing well and are creating a name for themselves at Waveland Bowl.